Alan Ball, being the creative man he is, decided to try something unique with our plaster stencils. 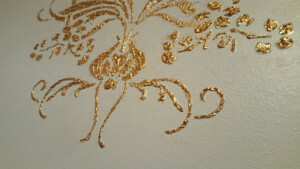 Instead of simply spreading the joint compound over the stencil as we have been doing since 2004, he used a brush and a tapping motion to give the design even more texture. 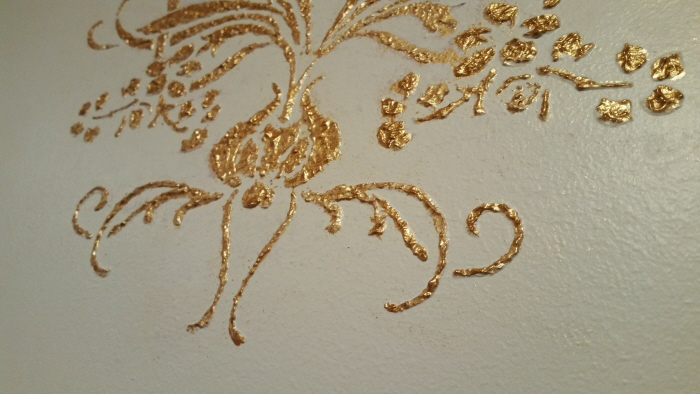 Since he wanted to do a design to add interest to his kitchen, he chose our Raised Plaster Brassio Stencil to do the project. He used a border stencil to create uniform frames, then plastered the Brassio Frieze stencil as a twin central design.